As we journey towards Easter we turn particular focus to the central event of our Christian faith: the crucifixion of Jesus the Messiah. There the body of Christ hung dejected and condemned from a Roman cross. “Christ incorporates people into his body by Baptism. In this way Christ enables them to participate in his own baptism, which was accomplished once on behalf of all in his death and burial,” – The Basis of Union, Par 7. In other words, we enter into the fellowship of the Church precisely because we share in the strange way of a crucified Lord. We are the body of Christ because our identity is bound up with Jesus’ body on the cross. The image of the body of Christ is the predominant metaphor for the Church throughout ​The Basis of Union. This reflects the attention given to this Biblical metaphor by the Joint Commission on Church Union in their second report, ​The Church: Its Nature, Function and Ordering. Being the body of Christ means confidently acknowledging what we are, while also humbly acknowledging what we have not yet become. The Church is a pilgrim people, always on the way. The point here is that the Church by its very nature must be a reflection of the crucified Lord. This is echoed in the call of Christ which constitutes the Church, the Bible which witnesses to Christ, and the sacraments of baptism and communion which shape our collective life of faith. In these things the Church is in the process of becoming cruciform: taking on the shape of the cross. 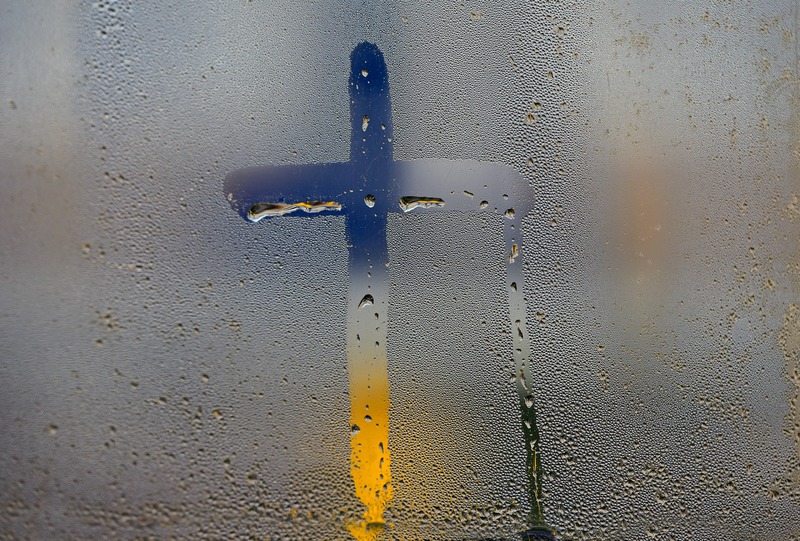 In order to understand what it means for the Church to become cruciform, taking on the shape of the cross, we must try to grasp what the cross itself means. In his work ​The Crucified God, the Reformed theologian Jürgen Moltmann reflects intensely on the crucifixion as the defining feature of Christian theology. In his death Jesus both stands alongside those who experience forsakenness by God, and at the same time convicts the godless who have turned away from God. The godless and the godforsaken are two sides of the same event of Jesus’ crucifixion. At one level the crucifixion of Jesus is unremarkable: one among the countless victims of unjust religious and political violence throughout history. And yet in ​this​ death, on ​that​ cross the fullness of God dwelled. In the act of crucifixion Jesus shows us that God stands alongside those who suffer unjustly and in that experience feel the absence of God. Jesus journeys with them to new life. Jesus brings this cry into the Trinitarian life of God as a call from the Son to the Father. At the same time that Jesus’ cry gives voice to God standing alongside the godforsaken, Jesus’ death stands in opposition to the political and religious violence that led him to the cross. For us to take on the shape of the cross must mean heeding the call to stand alongside those who feel forsaken by God: as Jesus stood alongside the forsaken, and brought their cry into the life of the Trinity. This call takes on particular resonance as our Church faces the sober reality of institutional child abuse within churches, which has alienated many from God. For us to take on the shape of the cross must also mean confronting the ways in which we have turned away from God and benefited from godless systems of injustice: as Jesus revealed in his death the bloodied consequences of this injustice. If we are to be the Church, then we must become a cruciform community. A community that participates in the crucified body of Christ, and embodies the way of the cross in the world. We must be disciples of a crucified Lord, never ceasing to witness to the Cross and be pilgrims on the path to Resurrection life. How might your community stand alongside those who feel the absence of God in the midst of unjust suffering? What forms of injustice or inequality does your community benefit from? How might you work towards equality and justice? Matt Julius is a candidate for Ministry of the Word. Matt works as a barista in a social enterprise cafe run by the Uniting Church in Melbourne. Matt has a passion for preaching, and theological reflection. And spends his downtime with his wife Natalie, and his greyhound Holly. Jürgen Moltmann, ​The Crucified God​ (London, UK: SCM Press, 1974), 276.